As if you need an introduction to this head, it is Aisha created by Catwa! I broke down…I bought it. I couldn’t resist the beauty. Pft. I’m happy though and you would be two if you had these awesome lips -pokes them-. 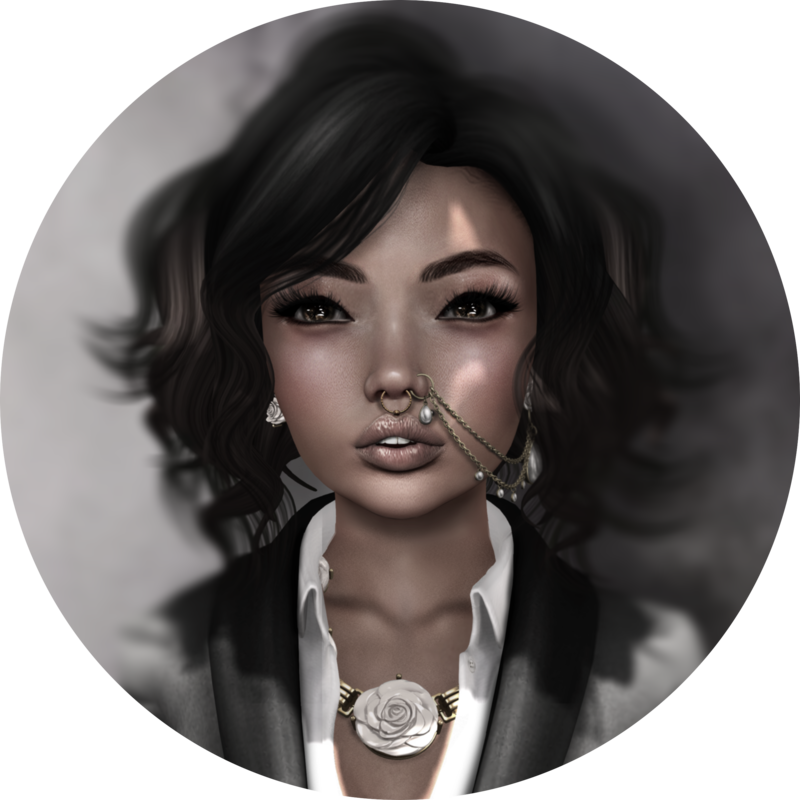 This flawless skin is courtesy of The Face — a store who’s creator may be new to the scene but has a wild sense of talent. The skin was featured at a past Tres Chic round, and will be available again in world once the mainstore is complete. Patience ladies, patience. In the meantime, there’s the trusty Marketplace! Now, for a little public service announcement: A Breakfast Convo is back! WOooOoO *\0/* You guys don’t even understand my excitement when I saw this information on Facebook. I used to adore their clothes way back when… I just checked with my inventory and it has confirmed 2013…I haven’t been on SL much longer than that..so yeah :3 But, if you were a fan, the older stuff is still on Marketplace and now Omega friendly. Anywho, to not bombard you all with many beachy posts, I’ve decided to do a 2-in-1! today! 😛 I can’t decide which one is my favorite, so I’ll remain unbias. FaMESHed and The Chapter Four are both celebrating anniversaries (3rd and 2nd respectively). Because of this, there are some pretty epic gifts available at both events and I have included a couple in each outfit. 🙂 Everyone loves free! Hooray for pretty hair accessories! 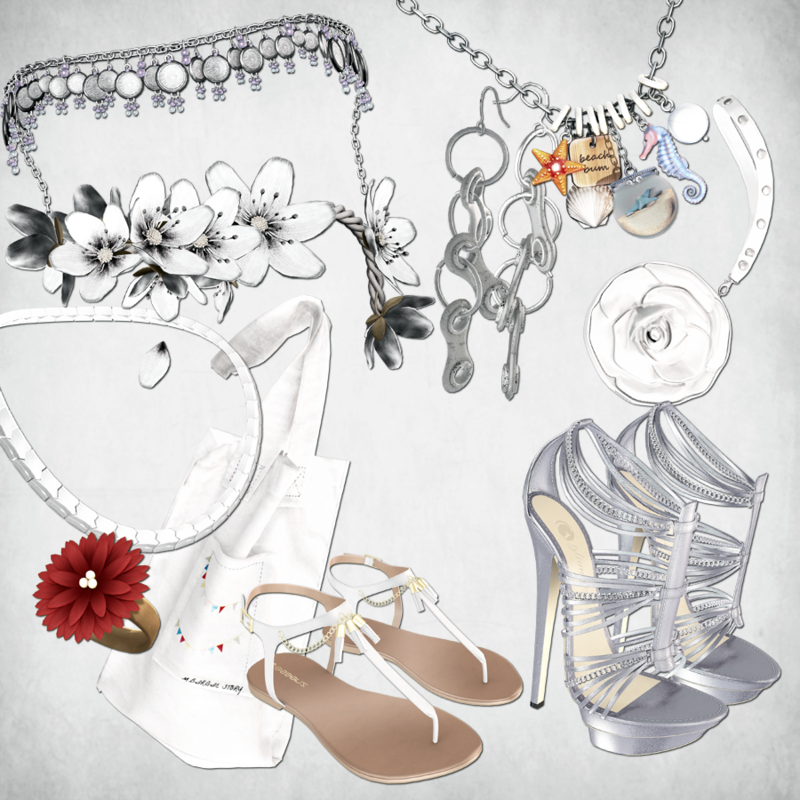 I LOVE Lode, and went searching high and low for literally any white headpiece to complete the look. This “crown” was a gacha item; I believe from a previous round of the Chapter Four. I was able to find it at a “Yard Sale” based on Martketplace so please look there if you experience any trouble. Same goes for the head jewelry in the blue & white look. The coin chain is from one of my favorite gacahas by Enfant Terrible (last Arcade round). Well…to sum it up and not make this post obnoxiously long, all the pieces a truly beautiful. ♥ On the to credits!